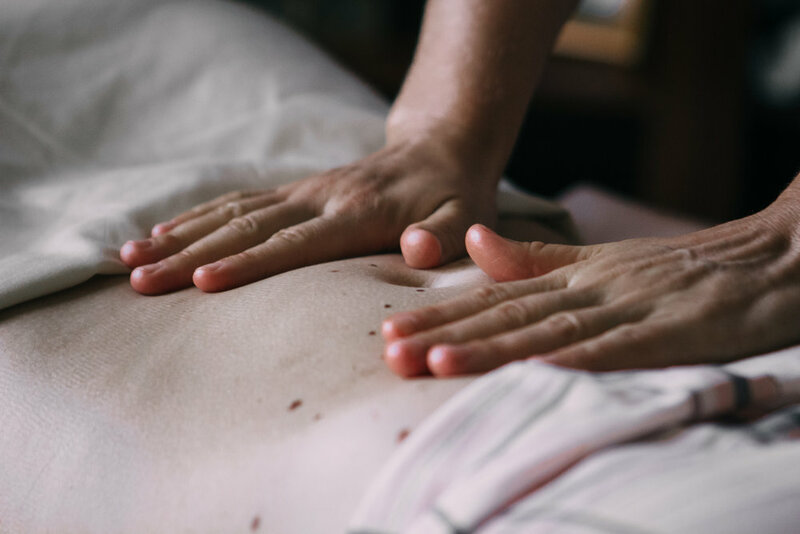 The Arvigo Techniques of Maya Abdominal Therapy® were created by Dr. Rosita Arvigo by combining traditional Maya and western massage techniques. The therapy is an effective way to approach healing and achieve balance for the vital abdominal organs. By addressing the reproductive, digestive, and urinary systems, Arvigo® is useful in treating a variety of conditions. During a session, external manipulation gently guides the organs into proper alignment and encourages the flow of nutrient rich blood into the area. Organs in their optimal position function more effectively and allow for the free flow of blood, lymph, nerve signals, and vital energy, bringing the whole body into balance. Your Arvigo® therapist will start each session with a series of gentle strokes on your abdomen. Each stroke lightly impacts the organs and ligaments between your pubic bone and rib cage. Draping with a blanket and chest cover will be used at all times while your abdomen is exposed. While visceral manipulation is a major part of Arvigo® treatments, you might be surprised to learn that only a small portion of the session focuses on the abdomen. To achieve effective re-positioning of the organs, your therapist will spend time palpating and stretching your sacrum, hips, low back, and glutes. Soft tissues in these areas provide crucial support for your pelvis- the foundation on which the abdominal organs rest. Pelvic alignment has a powerful impact on the position and health of your reproductive and digestive organs. Choosing Arvigo® empowers you to make an impact on your own health. Following your session, your therapist will teach you a simple self-care routine that you can do between sessions. Your therapist will provide you with resources, be available for questions, and may suggest optional supportive treatments. Castor oil packs, vaginal steaming, and herbal supplements are all affordable options that can be done in the comfort of your home. You control your health with Arvigo®. Ready to take your health into your own hands?